As far as The Open Championship goes, it’s been a bit of a curse being a British or Irish player trying to win a major on home soil in the recent past. Only six home-based club swingers have lifted the Claret Jug since 1990, with just one of those coming in the last five years. That’s not to say that Ladbrokes customer can’t make money out of how those players fare at Royal Liverpool, with the Top GB and Irish market ripe for picking some long-odds options. None of the top three in the betting have particularly strong records in the Open, making Justin Rose, Rory McIlory and Graeme McDowell all entrants to swerve. The greatest British Ryder Cup player on the planet, on the other hand, has gone someway to equalling his matchplay heroics when asked to play in golf’s links-loving major. 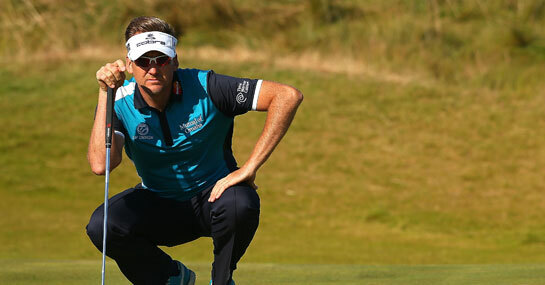 Poulter has registered a top-10 finish in three of his last six Open Championships, two of which saw him break into the top five. Such a long playing career – Westwood made his first major appearance in 1995 – has obviously helped the Worksop man build quite a favourable record in the four major tournaments, despite famously never winning one. Since 2010 especially, where he’s been in the top 10 in nine of the 18 majors he’s played, Westwood has been particularly impressive. In that time he’s landed two top-three finishes at the Open. For a somewhat more leftfield selection look no further than Gallacher. The Scot has been a top-10 finishing machine on the European Tour this season, landing in that part of the leaderboard six times already.